Let's share the love of all things Pinterest! Have you created or made something inspired from Pinterest? Here's your chance to share it. My goal in writing this blog is to inspire others to pin less and do more. I also would like to build a community of fellow pin junkies who are crafty, foodie, DIY-ers! I'd love to see what you've been making! 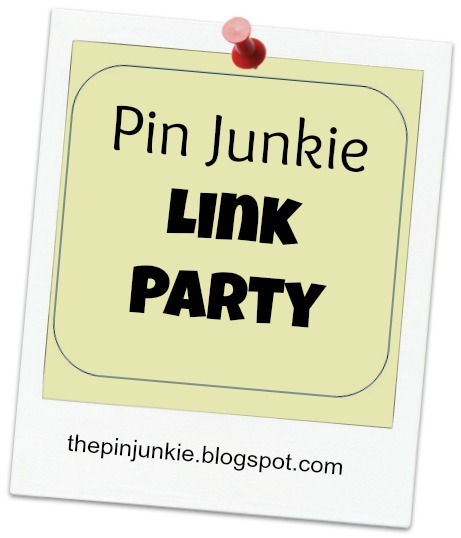 Please feel free to pin and pass this along to all your fellow pin junkies! 1. In the right hand side bar, you'll see a widget for Blog Carnival. Go to the bottom of the widget and click on "submit an article." This will take you to the page to submit your post. 2. You will have to create an account and log in to Blog Carnival to submit. The deadline to submit your post is Friday, November 16. 3. Everyone's links will be posted on Monday, November 19.